XXXIV, 337 p., 17,8 x 24,5 cm. 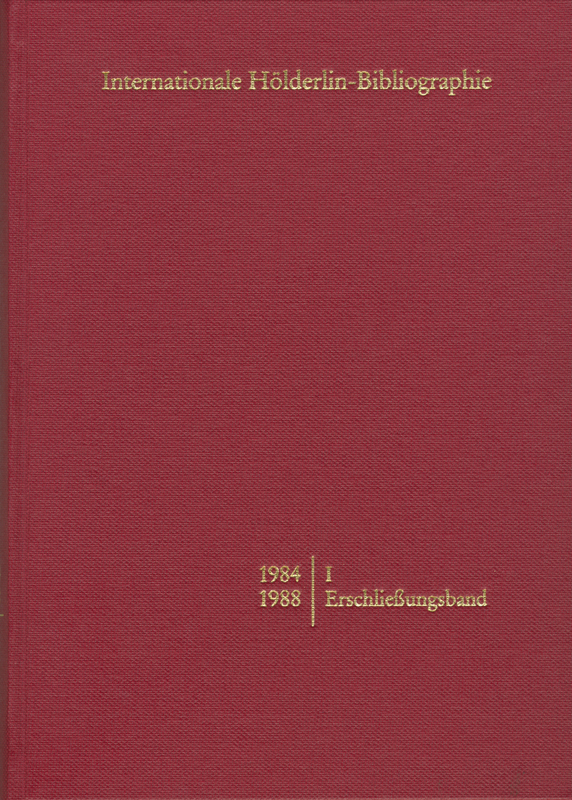 The volumes from 1984-1988 are the chronological follow-up to the bibliography of keywords in the secondary literature 1804-1983 edited by Maria Kohler, the »First Edition« of the Hölderlin bibliography, which has now been completed in this form. The content and the itemization of the computerized bibliography from 1984-1988 have however been considerably expanded and specified.